Production of oil palm has risen by nearly 560 percent in Honduras over the past two decades, making the country the eighth-largest producer worldwide and number three in the Americas. 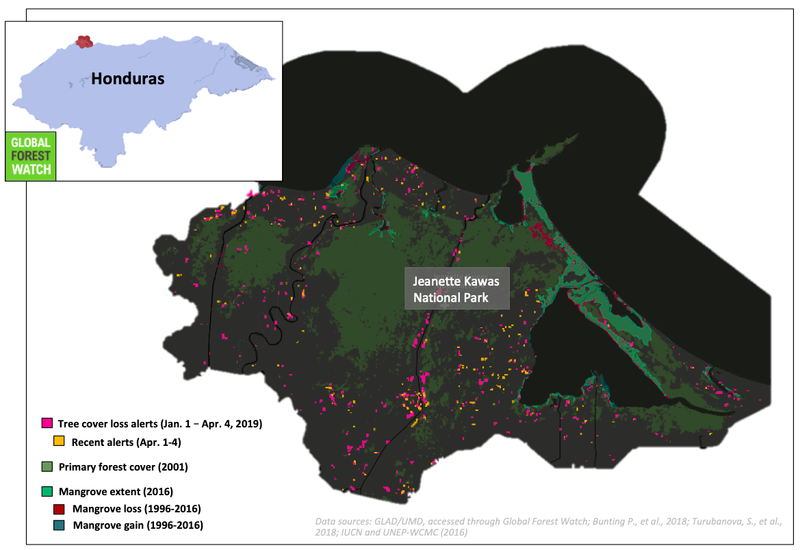 By 2010, Jeanette Kawas National Park, which sits along the coast in northern Honduras, had lost approximately 40 square kilometers (15 square miles) to oil palm plantations. 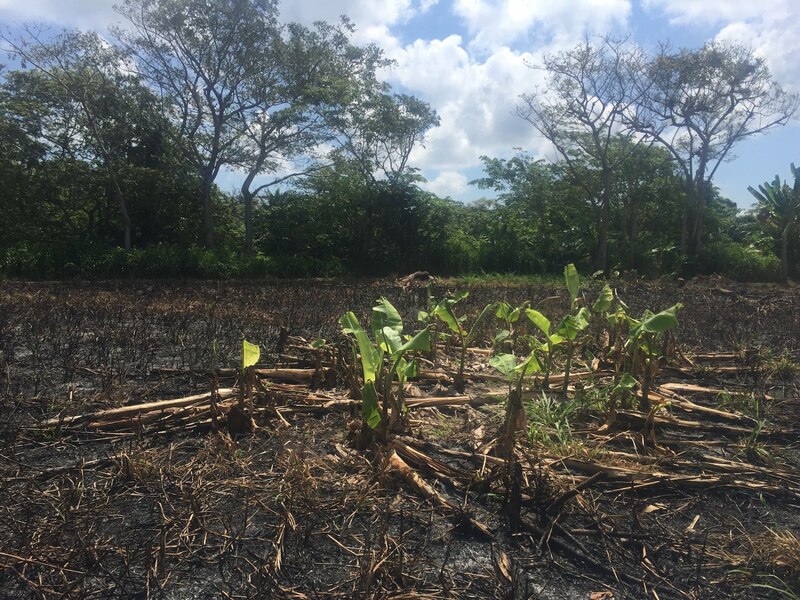 Nearby Punta Izopo National Park and Cuero y Salado National Park lost more than 8 percent and 4 percent of their tree cover, respectively, between 2001 and 2017. Small-scale farmers, some living legally within park borders, are clearing deeper and deeper sections of forest. 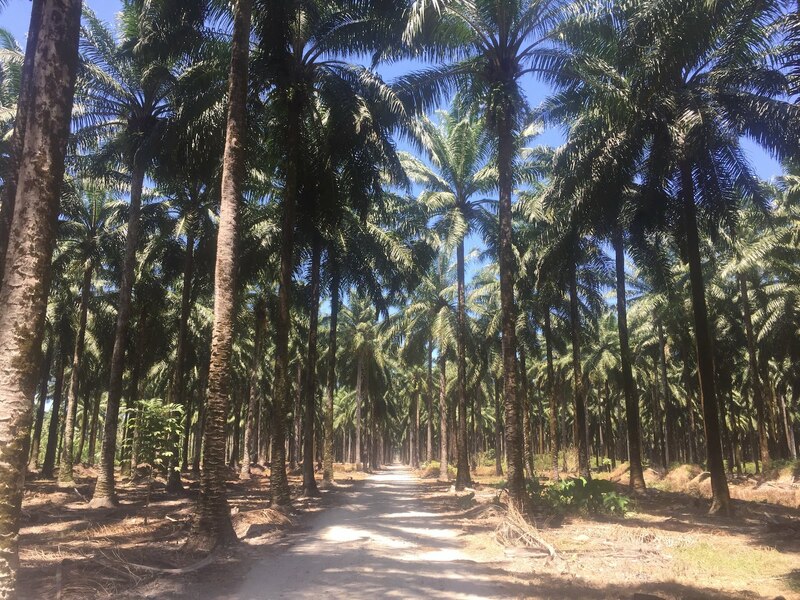 A growing number of residents are cultivating small-scale oil palm plantations and have become off-the-books suppliers for companies operating in the area, which has become a source of serious concern for conservation organizations. Local officials say that due to bureaucratic red tape, cutting down even illegally planted oil palm trees can put them at risk of legal repercussions, making it difficult to restore forest after it’s been converted to oil palm plantations. TELA, Honduras — On Feb. 6, 1995, an unidentified white pickup truck rolled up to the home of environmental activist Jeanette Kawas. It was a quiet Monday evening in the small Honduran town of Tela, which sits on the country’s northern Caribbean coast. Two men stepped out of the truck and managed to get past the front gate. They went around the side of the house to a window, where they could see Kawas sitting at the kitchen table with her assistant, Trinidad Marcial Bueno Romero, the last person who would ever see her alive. One of the men shot Kawas in the neck, killing her instantly, and they fled into the night. Two days before her death, Kawas had organized a protest against a government plan to sell land in Punta Sal National Park, much of it to big oil palm businesses. To many, the two events seemed inarguably connected, and in 2009 the Inter-American Court of Human Rights confirmed as much in a ruling that held the Honduran government directly responsible. The court found that not only had no sufficient investigation been carried out after the murder, but that an army colonel may have helped plan it. New oil palm plantations are popping up inside the park almost every week. Small-scale farmers, some living legally within park borders, are clearing deeper and deeper sections of forest, making it difficult to know exactly how bad the problem has become, let alone how to stop it. 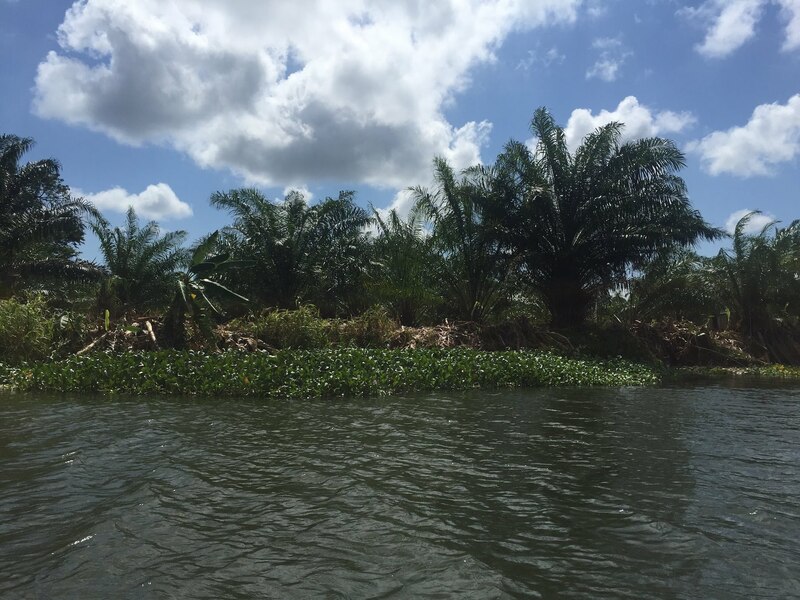 An area in Jeanette Kawas National Park cleared to grow oil palm and banana crops. Image by Max Radwin for Mongabay. 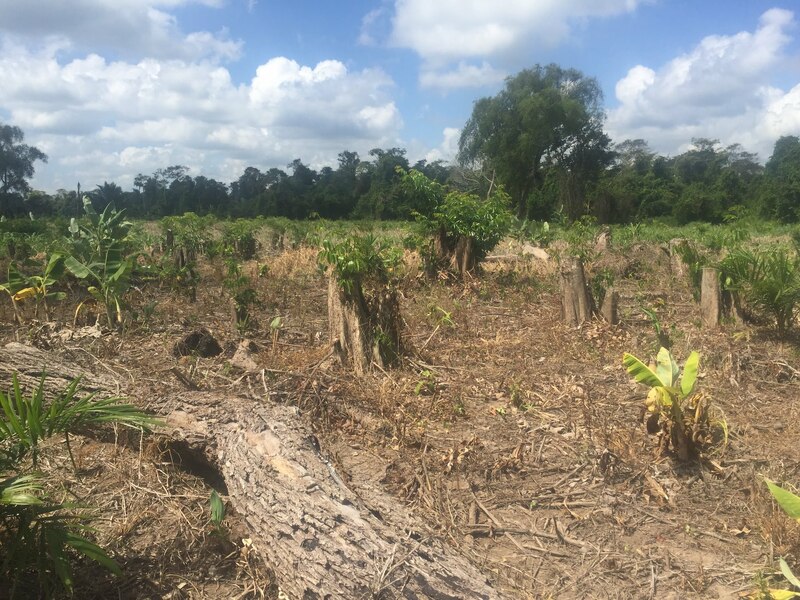 By 2010, Jeanette Kawas National Park had lost approximately 40 square kilometers (15 square miles) to oil palm plantations, according to a 2018 report by the country’s Zamorano Pan-American Agricultural School. It loses around 6 square kilometers (2 square miles) each year. Around 1,900 deforestation alerts were recorded in the park by mid-March this year, according to the University of Maryland’s (UMD) Global Land Analysis and Discovery lab, which uses satellites to detect tree cover loss. Averaged per month, this represents a jump over 2018 numbers. 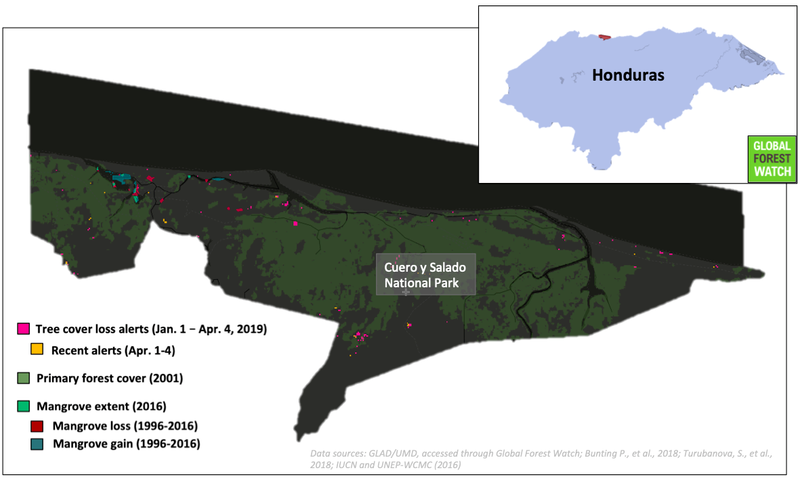 Further east, Punta Izopo National Park lost more than 8 percent of its tree cover between 2001 and 2017, according to UMD data. Meanwhile, the data show a more than 4 percent loss in nearby Cuero y Salado National Park. 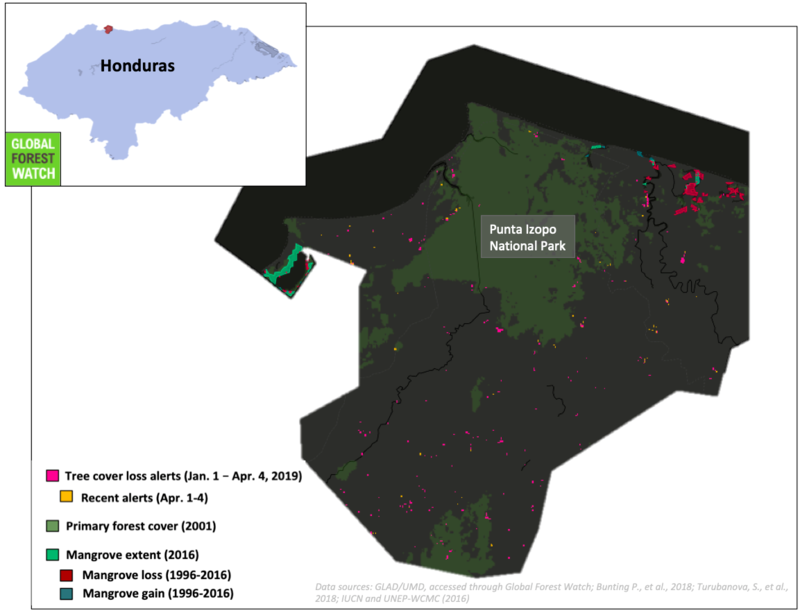 The National Institute of Forest Conservation and Development (ICF) considers these areas to be some of the most biodiverse in Honduras, so there’s a lot at stake with each fallen tree. Jeanette Kawas National Park curves along the Caribbean coast to a thin, rocky peninsula surrounded by coral reef and sea-turtle breeding grounds. Manatees inhabit small coves. Four species of mangrove trees lead into Los Micos Lagoon, which is home to 48 species of fish, according to municipal park management reports. Further inland, mantled howlers (Alouatta palliata) and Panamanian white-faced capuchins (Cebus imitator) are a common sight. Though some oil palm advocates argue that some animals eat palm fruit, critics counter by saying that the animals won’t be around long if oil palm takes over their natural habitats. African oil palm (Elaeis guineensis) is a species of palm tree native to West Africa. It takes about four years to reach maturity, after which it produces bunches of hard, red fruits twice a month. The fruits can be processed for their oil, which is used in everyday household products like soap, makeup and margarine, as well as baked goods, candy and biodiesel. The United Nations’ Food and Agriculture Organization estimates that 150 million metric tons of vegetable oil is consumed each year, and about a third of that is palm oil. Since Kawas’s death, production of oil palm has risen by nearly 560 percent, making Honduras the eighth-largest producer worldwide and number three in the Americas, according to the U.S. Department of Agriculture. Small-scale farmers in northern Honduras make about $73 per ton of oil palm fruit, while putting in significantly less work than is required for bananas or livestock. However, oil palm requires massive amounts of water and must be grown as a monoculture, the agricultural practice of devoting land to a single crop. An independent farmer needs to plant at least 10 hectares (25 acres) of oil palm to make a profit, leading them to clear huge swaths of forest in the parks. Recently planted oil palm and banana grow where forest was recently burned and cleared for crops inside of Jeanette Kawas National Park. Image by Max Radwin for Mongabay. Deforestation is already showing enduring effects on the park’s overall biodiversity, especially in areas where mangroves once grew. The long, exposed roots serve as refuges for reproduction for many fish species, while also slowing coastal erosion. Without mangroves and other coastal vegetation, there’s nothing to prevent fertilizers from running off into nearby bodies of water. 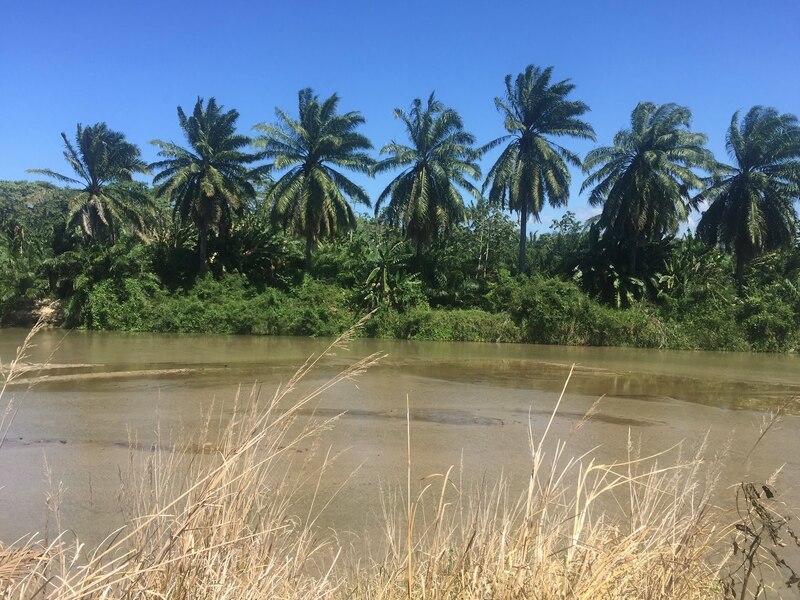 Each hectare of oil palm requires an estimated 300 kilograms of fertilizer per year, about 270 pounds per acre, which in 2017 contributed to an 80 percent decline in Los Micos Lagoon’s overall fish population, according to PROLANSATE. Rigoberto López Cruz, 62, a fisherman in the Marión community at the center of the park, said it’s becoming difficult to make a living. He said that not only are fish populations decreasing, but authorities trying to combat the problem imposed strict regulations in 2017 that limited who can be on the water and when. 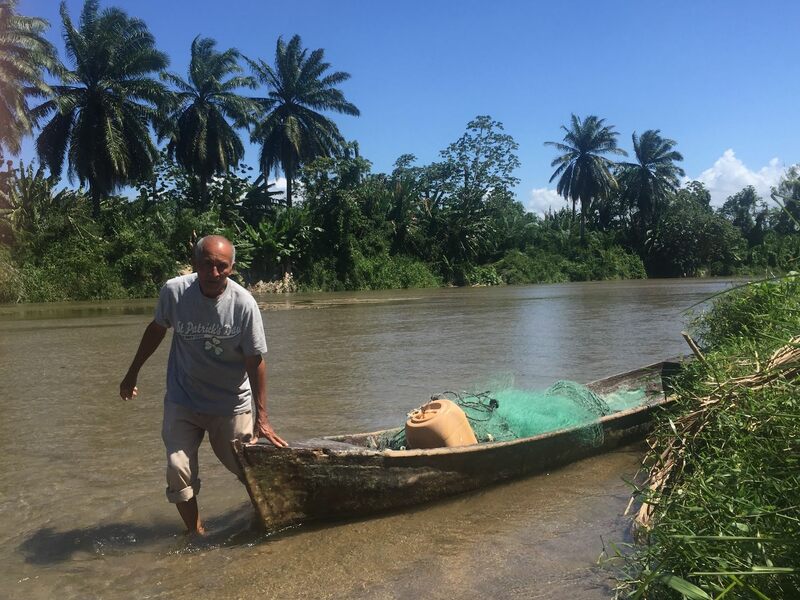 Rigoberto López Cruz, 62, a fisherman in the Marión community at the center of the park, said it’s becoming difficult to make a living as the fish population dwindles. Image by Max Radwin for Mongabay. 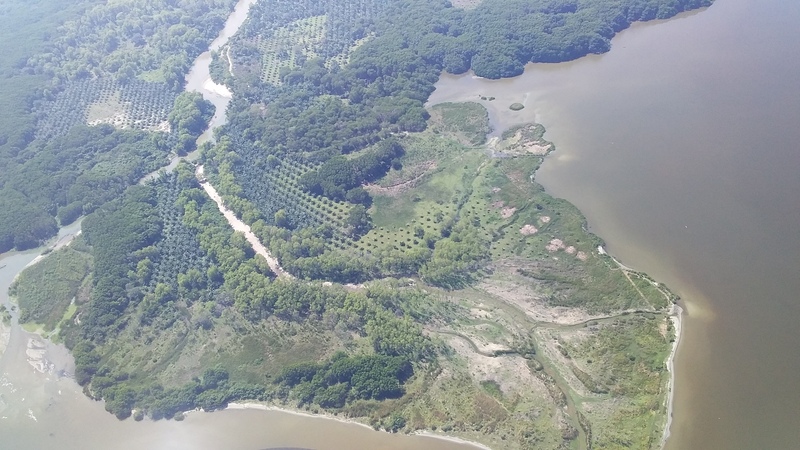 Without mangroves and other coastal vegetation, there’s nothing to prevent fertilizers from running into the park’s many rivers and streams, ultimately reaching the Los Micos Lagoon. Image courtesy of PROLANSATE. Fifteen companies make up Honduras’s oil palm industry, which generated $365 million in 2017 as the country’s fifth-largest export, according to the World Bank. Municipal records show that five of those companies — Palcasa, Agrotor, Corapsa, HonduPalma and Dinant — operate inside Jeanette Kawas National Park because they owned land there before it was established or were able to purchase land and obtain municipal, federal and international certification. Their presence in the park has divided nearby communities. Some residents claim the dumping of hazardous wastewater by palm oil processing plants leaves sores on the skin of their children. Other residents need the employment opportunities that the companies provide, such as collecting stray palm fruit from the ground. But a growing number of residents are also cultivating their own small-scale oil palm plantations. They have developed an off-the-books relationship with many of the companies, which has become a source of serious environmental concern for PROLANSATE. Agrotor’s oil palm plantation inside the Jeanette Kawas National Park. Image by Max Radwin for Mongabay. When companies fall short of filling a palm oil shipment, they have the option of purchasing the difference from a third-party source. Often that’s a legally registered farmer operating on the outskirts of the park. But PROLANSATE and municipal officials say companies also find ways to purchase illegal oil palm fruit from “unlicensed” farmers inside the park. None have municipal approval to operate, allowing them to farm without environmental oversight. 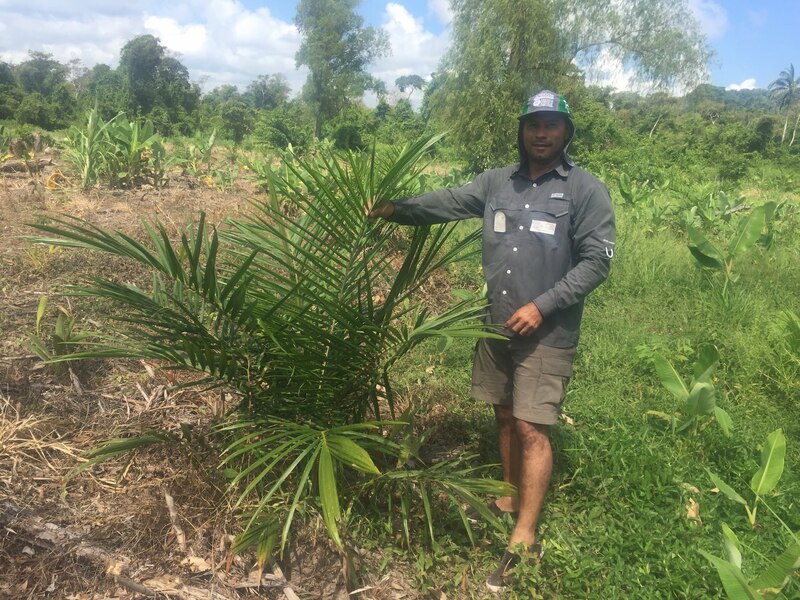 PROLANSATE Executive Director Nelbin Bustamente discovers a newly planted oil palm tree inside Jeanette Kawas National Park. Image by Max Radwin for Mongabay. Small-scale farmers are traveling deeper and deeper into parks in order to grow oil palm without being discovered. Image courtesy of PROLANSATE. A spokesperson for the Jaremar Group, which owns the Agrotor operations inside the park as well as in the region at large, said independent farmers must meet strict requirements before they can be a part of a company’s supply chain. The spokesperson also said the group is starting to increase its efforts to track the oil palm fruit coming from non-certified farmers, requesting that they show they are legally authorized to cultivate the crop. Mongabay reached out to Palcasa, Corapsa, HonduPalma and Dinant for comment, but received no response by press time. Meanwhile, residents who lived in the area before the park was founded say they’re frustrated by regulations that force them to jump through confusing bureaucratic hoops or to sell illegally, especially when there exist so few alternative sources of income. Many residents have expressed interest in sustainable crops like cacao, which can be grown alongside other plants and doesn’t degrade soil quality as quickly as oil palm. But they say progress is slow. As executive director of PROLANSATE, Bustamante now works in an office adjacent to where Jeanette Kawas was murdered. Every week, he travels through the park, crossing by boat to the most distant lagoons and coral reefs, navigating up the Martínez Canal that was forged by the Tela Railroad Company in the 1950s. Oil palm trees line both banks, at times blotting out much of the other foliage. Oil palm trees, owners unknown, grow along the Martínez Canal inside Jeanette Kawas National Park. Image by Max Radwin for Mongabay. Palm trees line the San Alejo River, where residents say chemical runoff has hurt fish populations. Image by Max Radwin for Mongabay. Bustamante can do little more than document the damage. The people responsible for deforestation often live far from their crops in order to avoid confrontation. Only 20 percent of oil palm in the park has a known owner, according to PROLANSATE. And even if Bustamante did know who owned every plantation, he says the avenues for legal action are either toothless or non-existent. Removing oil palm requires approval from a judge, but the request can’t be made as one sweeping order. Officials must proceed on a case-by-case basis, compiling documents about each sector of oil palm while tracking down the names of guilty parties. Even cutting down a lone oil palm tree that sprouted up independently can put officials at risk of legal repercussions. Some small-scale farmers have threatened to sue the ICF for interfering in their livelihood. Since 2016, only two requests for oil palm removal have been submitted to a judge. Both were rejected. 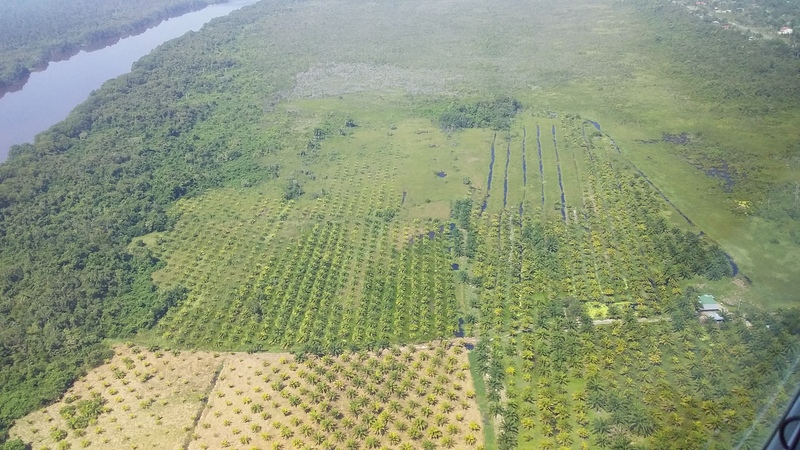 Not a single illegal oil palm investigation by the country’s Public Prosecutor’s Office has resulted in a conviction, let alone a closed case, according to the ICF, which often participates in filing initial complaints. 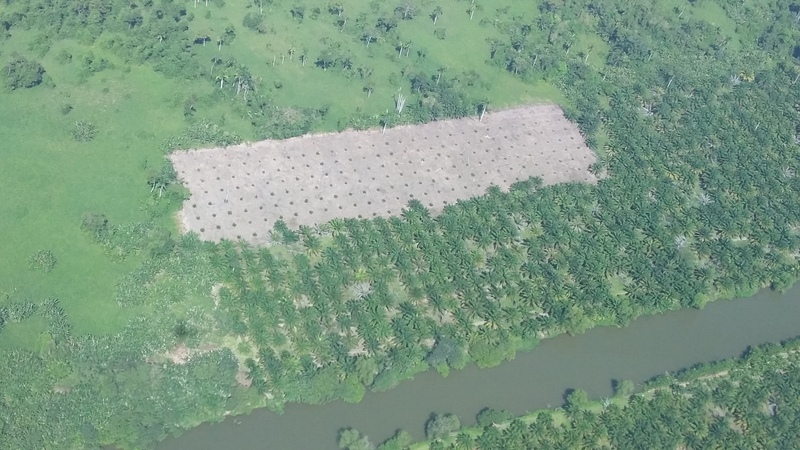 A new oil palm plantation hidden behind maturer trees along the Martínez Canal inside Jeanette Kawas National Park. Image courtesy of PROLANSATE. Organizations like the ICF and PROLANSATE have begun what they hope to be ongoing discussions with prosecutors and judges about how to speed up the legal process — or find some way around it — before the situation becomes even more unsustainable. In the meantime, there isn’t much that officials can do except carry out preventative strategies, such as investing in educational programs that stress the importance of environmental preservation, and hope that they can raise some awareness about the destruction taking place across the parks. “We’ve made a lot of progress,” Bustamante said. “A lot of effort has been made to finish the work that Jeanette Kawas started. Her legacy will always live on. She’s an inspiration for us to keep up the fight. Banner image: Struggling to keep up with the amount of deforestation in Jeanette Kawas National Park, officials took to the air in February. Image courtesy of PROLANSATE.